In our new release book Vaccine Science Revisited: Are Childhood Immunizations As Safe As Claimed? we, the authors, focus on scientists’ acknowledged and patented childhood vaccines. To cover as many of these (childhood vaccines) as possible, we decided to use the vaccines on the US Childhood Schedule of the Center for Disease Control and Prevention (CDC). This schedule, as far as we can tell, includes more vaccines than any other country in the world. If the vaccine is on the schedule, it will blanket other childhood vaccines used across the world. The main difference will be the manufacturer of the vaccines. After looking at the various vaccines, we noticed they are not all the same. Some contain dead germs, some contain living germs while others have no germs at all. We figured there had to be a good reason for the different types of vaccines so we decided to make that a part of our research, thinking it would be an essential component in the bigger picture. Some vaccines are manufactured by using the entire germ. Those are the live, attenuated vaccines. Attenuated because even though the virus is alive, it has been weakened in the lab so it won’t replicate very well inside our body and make us sick. Scientists are able to find a living germ to put into the vaccine by collecting it (the germ) from an individual infected by the wild version of it. A wild germ is a germ found out in nature. If it isn’t wild, then it has been altered in the laboratory or is a descendant of a laboratory-altered germ. Since it’s a weakened form of the wild germ, it is considered to mimic the natural disease the most out of all the vaccines. This is also why it’s considered to have the longest and the strongest immune response of them all. The problem is, since it’s a weakened, living germ, in order for it to work, it has to be able to replicate inside our body. 2 At the same time, we don’t want it to replicate too fast because our immune system needs to be able to handle the attack. Vaccines that are manufactured this way are the rotavirus, measles-mumps-rubella (MMR), smallpox and chickenpox vaccines. …Self-sufficient bacteria multiply and grow under the right conditions. In the laboratory, this means they are grown in cultures containing bacterial nutrition like sugar, protein or other important factors to control their pH level. The culture ingredients depend on the type of bacteria being grown. As easy as this may sound, scientists sometimes have difficulty finding the perfect environment to culture and replicate their germs. There are some viruses that don’t grow well on animal cells, but thrive on human cells. These are viruses that cause illnesses specific to humans, but don’t infect other species when they are exposed. The smallpox virus would be an example of this. As mentioned, the viruses need living cells in order to replicate. Scientists often prefer human cells because the virus thrives better. Today, the two most commonly used human cell strains are WI-38 and MRC-5. By the way, cell strains and cell lines are two different things. Cell strains are produced using healthy cells while cell lines are produced using cancer cells. WI-38 (Wistar Institute 38) are cells from the lung tissue of an aborted girl at three months gestation. It’s used, for instance, in the manufacturing of MMR II, Varivax (chickenpox) and ProQuad (chicken pox & MMR). MRC-5 cell strain (Medical Research Council cell strain 5) was developed in 1966 for the Medical Research Council (MRC) in England. This cell strain was cultured from lung tissue of an aborted baby boy at 14 weeks gestation. It is used in the manufacturing of such vaccines as Varivax (chicken pox), ProQuad (chicken pox & MMR), Havrix (Hep-A), Vaqta (Hep-A), DTaP, Hib and Polio (Pentacel). …Many people think it’s unethical to use human fetal cells in vaccine manufacturing. But there’s a problem with using animal cells as well. Animals carry a wide selection of viruses that are foreign to we humans. We may not even know of all viruses that exist. Since we’re not really aware these viruses exist, we don’t know how they will affect the human body when injected, nor do we know how to test for them. These unintended viruses are often called passenger viruses. The Rubella strain (RA 27/3) used in the MMR vaccines is grown in WI-38. If you look it up on the Internet, there are countless articles expressing outrage over using these aborted human fetal cells to make the rubella vaccine. The dilemma is that a virus has to be grown in living cells. We also learned animal cells carry viruses that can cause damage to our health. In order to make a vaccine as safe as possible for us, the scientists opted for human cells. The concern scientists had regarding passenger viruses was not unfounded. You may recall the disastrous SV40 monkey virus which contaminated the polio vaccines. There are scientists who claim this virus is the cause of multiple human cancers. …When dealing with a living germ, we should also be aware that it can mutate. This is known to happen with live virus vaccines. The viruses have the ability to revert back to being harmful to us. It’s difficult to know what the virus is capable of when it finds the opportunity to replicate within our body. This isn’t supposed to happen, because the virus is very poor at replicating at this point. The problem arises when the virus actually does wake up, and history tells us it can happen. 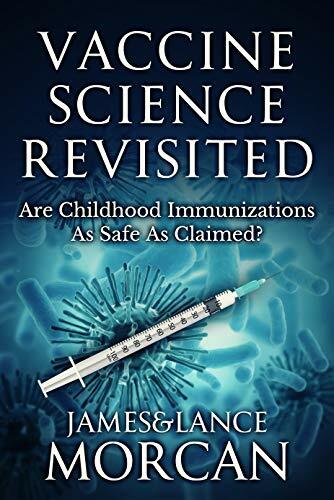 You have been reading excerpts from Vaccine Science Revisited.